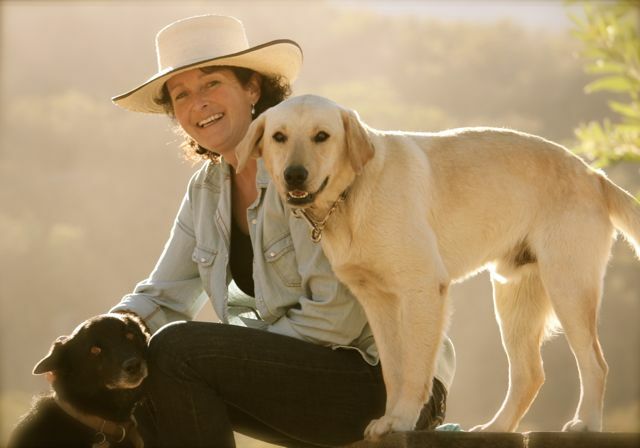 Kathy Pike is the founder of The Academy for Coaching with Horses. She is a speaker, coach, facilitator and an internationally published author of Hope from the Heart of Horses: How Horses Teach Us about Presence, Strength and Awareness, available in both English and Dutch. Kathy was the vision behind and founding partner of the Horse as Teacher book series, featuring two books each with ten contributing authors. Her first book, Pathways to a Radiant Self: A Journey of Growth and Discovery with the Chakras offers a complete guide for healing and expanding one’s energy field. 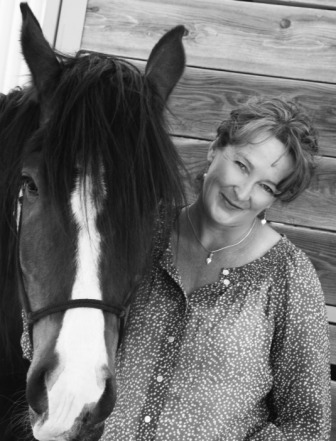 She has over 20 years experience in the areas of energy systems, personal development, life coaching, equine based learning, and leadership development. As a pioneer in the field of Equine Facilitated Learning and Coaching (EFLC), Kathy has taught EFLC Certification Programs worldwide. Her work has reached over 18 countries as she has trained others to employ Horse as guide and mentor for the human heart and spirit. Kathy’s compassionate, intuitive, and cutting edge approach provides her clients access to their deepest level of truth, power, and ability to live with purpose and passion. Kathy developed and teaches a unique coaching model called the Mind Body Method Coaching. Three powerful coaching models within this system are used and taught in her coaching and on-site programs with horses. Kathy’s diverse approach to accessing human potential has grown from her experience as a coach trainer for CoachU, a corporate trainer, a teacher at the Boulder College of Massage Therapy, and ten years working in the healing arts as a massage and polarity therapist. Kathy has spoken at several International Coach Federation (ICF) conferences as well as several regional and local organizations. During her 20’s and 30’s Kathy spent extensive time in the wilderness. Running rivers in Alaska and the Grand Canyon, rock climbing the mountains of the west, skiing the back country of Utah, wind surfing in Hood River, and biking remote parts of Utah and Europe provided her ample experiences in the nature. Living in the woods and remote locations for long periods of time provided her the ability to be attuned to the subtleties, complexities and rhythms of nature. During this time she developed a deep respect for mother earth, the four elements, and all creatures. All of her experiences in the areas of life coaching, outdoor adventure, and healing modalities created a perfect foundation for her journey and work with horses. When Kathy is not traveling, teaching or coaching you will find her dancing with her wild mustang, Corazon, talking with her horse Moon, or riding on the Colorado mountain trails with her flashy and kind mare Diva. She enjoys painting, yoga, cooking and hiking with her sensitive and energetic canine companion, Inkie. 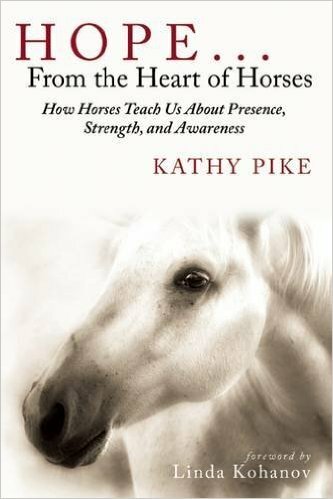 Hope…From the Heart of Horses: How Horses Teach Us About Presence, Strength, and Awareness, which focuses on the power of horses to help humans grow with a foreword by Linda Kohanov and published by Skyhorse publishing, 2009. Pathways to a Radiant Self, A Journey of Growth and Discovery with the Chakras published in 2001. Horse as Teacher book series founded by Kathy Pike and MJ Schwader. Each book features 10 equine specialists and their stories demonstrating the horse as teacher for humans. Through several serendipitous experiences in my life, I began to learn about how horses think, how they handle their energy and how they communicate with each other. I began to understand and approach horses from a different perspective. I began to use this new knowledge and my emotional responses with horses as an important part of my process and development. I learned how to track and acknowledge my energy and emotions. It was apparent that it mattered much more “who” I was, than the “what or how” of my actions. I practiced being fully congruent and authentic, both emotionally and mentally, in the presence of a horse. Slowly I recognized and experienced them on a cellular level. I learned new ways of respecting these magnificent creatures. This level of presence and awareness grew from the Mind Body MethodTM coaching models I developed before horses came into my life. It has now become the foundation of my work with horses and the process is part of what I teach in my EFLC Certification program. Experiencing the potential of horses as teachers came to me in my first round pen experience with a “natural” horseman. The realization of how I was trying to communicate and connect with the horse but was failing to do so was instant and profound. This one experience changed how I communicate with horses and with all beings that I viewed as more powerful than myself. In one moment I learned how to be fully powerful, without overpowering another or becoming powerless myself. I quickly saw how this work could benefit clients in my life coaching practice. Healing experiences with horses are plentiful and I have continued to bond deeply with them in my life. I feel blessed to have had ten years of healing experience in my background and to see how these philosophies transfer to the horse. Clients have also been blessed with such experiences. It is not uncommon for tears of joy, sadness, or inner power to flow. It is not uncommon for people to call me a few days later and say “Thank you, this experience changed my life.” To be fully present and communicate with a 1000 pound, powerful, sensitive animal is truly indescribable. My own experiences with horses changed my life. I experienced a deeper connection with my own body, and developed an ability to ground my power and speak my truth. I developed the skill to be authentic with my feelings in my relationships with others. I now honor my gut feelings and intuition about situations, agreements, and partnerships I am considering. In addition, I experienced a tremendous increase in my creative expression. For the first time in my life, I began to paint large abstracts, something I longed to do for many years. I moved from living in my head to living and moving forward from the heart. I returned to a more authentic me, a me without an underlying current of anxiety or fear. My path took me to Tucson, Arizona to study in a year-long apprenticeship program with Linda Kohanov. Linda’s materials and philosophies continue to influence my work. 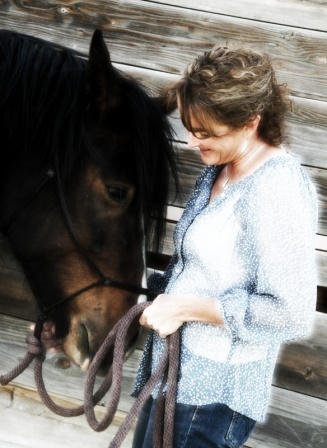 I honor her for being one of the first individuals to step forth and bravely write about her experiences with horses and for her support in writing the foreword in my book Hope from the Heart of Horses: How Horses Teach Us About Presence, Strength and Awareness. In all of my years working with people I feel blessed and honored to witness their growth, and the willingness they have to live life fully and to know themselves deeply. I am humbled to travel throughout the world offering this work and to have the horses participate in it with me. Their beauty, strength, honesty, curiosity and grace amaze me every day. My life is dedicated to helping people evolve and heal, and to reach their fullest potential, as well as to help horses be recognized and respected as powerful teachers. My equine programs are designed with this intention. I invite you to join me for an extraordinary experience and reconnect with yourself through the spirit of horses.